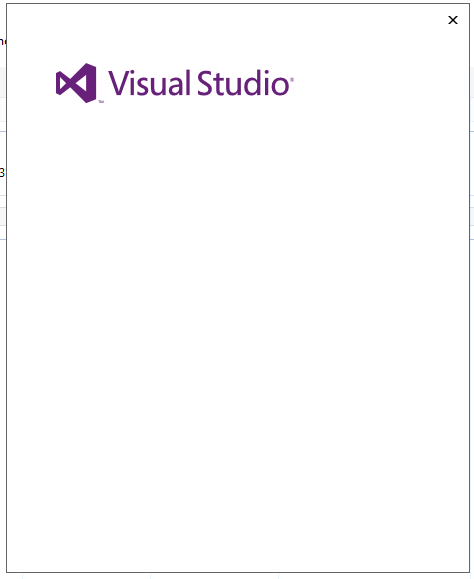 Just installed a fresh Visual Studio 2013 Professional on my machine with Windows 8.1. The setup was successful but VS failed to start. It's frozen on the splash screen. Installing Visual Studio 2013 Team Explorer ( https://www.microsoft.com/en-us/download/details.aspx?id=40776 ) solved the problem. It may also help to first install the latest version of Visual Studio (currently VS 2013 Update 4, https://www.microsoft.com/en-us/download/details.aspx?id=44921 ), and install any related Windows updates. Not the answer you're looking for? Browse other questions tagged windows debugging visual-studio-2013 ide windows-8.1 or ask your own question.